A “hot” & “happening” weekend on campus…. There were five Events on campus on Friday and Saturday, April 17-18, that were of great significance to alumni. 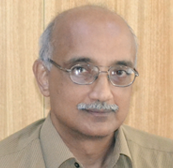 Also at the function, the “Excellence-in-Teaching” award sponsored by our alum, Prof. Marti Subrahmanyam, was conferred on Dr. David Koilpillai [1985/BT-EE], Professor in EE. Previous recipients of this Award are: Profs. Krishnaiah (CH), C Balaji (ME) and Devdas Menon (CE), all very popular & effective teachers indeed. On Saturday at noon, the “NR Narayana Murthy Distinguished Chair in Computational Brain Research” was launched in the presence of the sponsor, Kris Gopalakrishnan, and Shri Narayana Murthy. Special mention must be made of Shri Narayana Murthy’s commitment to attend the function despite running high fever the day before. Prof. Mriganka Sur (MIT) has been appointed as the first occupant of this Chair. You may recall that the “HN Mahabala Chair” was launched in late 2014, with Dr, Partha Mitra (CSHL) being the first occupant. Here are some photos from the occasion: http://alumni.iitm.ac.in/gallery/photo-gallery/?album=1&gallery=53. The third Chair? Wait for it…. These Events on campus reinforce the closeness that our alumni feel with their alma mater, and we will do everything within our power to enhance this very special relationship.